This 4 bedroom property to rent on Annes Grove in Great Linford, Milton Keynes, MK14 is not currently being advertised by the private landlord. To find similar apartments, flats or houses to rent directly from private landlords in Milton Keynes that are available, click the green button and continue your search. Moving to Great Linford, Milton Keynes, MK14? Get removal quotes instantly. We are delighted to offer this 4 bedroom / 3 bathroom House - Detached for rent at £1,350.00 pcm (£1,900.00 deposit). Close to schools, Fully double glazed, Gas fired central heating. Minimum lease of 6 Months. 4 Bedroom Detached to rent on Annes Grove, Milton Keynes by private landlord. Entrance hall leads into the triple aspect lounge, which has French doors out to the rear garden, laminate wood effect flooring and a wall mounted open flue gas fire. The master bedroom, which looks out to the front of the house, has a fitted wardrobe ,shelving and drawer unit, laminate wood effect flooring and en-suite bathroom with corner shower cubicle. 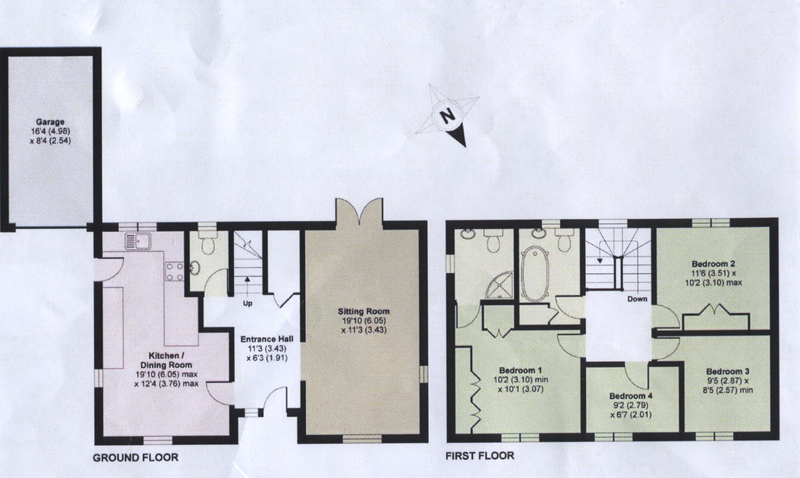 There are two further double bedrooms and a single bedroom. Bedroom two has a fitted wardrobe and shelving unit. The family bathroom has three piece suite which include a panelled bath with a shower attachment. To the front of the house a gravelled driveway, bordered with matured shrubs leads to the garage and round to the front door. There is gated access to the rear garden which is mainly laid to lawn with mature shrubs and flower borders and a patio area.